Buying a car takes patience, research and a little help along the way! 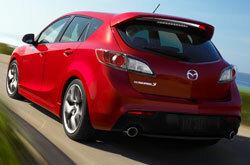 That's why Reliable Mazda provides a review of the 2013 MazdaSPEED3. We are a dominant Mazda dealer in Springfield, and it's our responsibility to equip you with Mazda reviews drafted by some of the finest automotive writers in the industry. 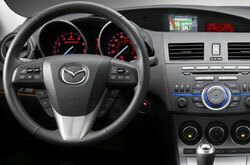 As you read this article, you'll see that it is bundled with helpful facts on all of the things you'r looking for in the new MazdaSPEED3. Does the MazdaSPEED3 have what it takes to be your next Mazda? Continue reading and find out! Check out the 2013 Mazda MazdaSPEED3 to versus similar autos like the 2013 Volkswagen GTI, Mini Cooper S and the Scion FR-S, and you will catch that the 2013 MazdaSPEED3 outperforms those vehicles in loads areas. Pay attention to the reasons see why! Get a free warranty on repairs - plus access to authentic Mazda parts and exceptional Mazda technicians - at your dominant Springfield area Mazda repair center. Even the quality Mazdas in Springfield can take a shellacking, so turn to the Mazda service and autp repair professionals in Springfield at Reliable Mazda. We can manage a simple task as an oil change, or deliver quality involved Mazda MazdaSPEED3 service and repairs like strut and shock repairs, timing belt replacements and MazdaSPEED3 transmission rebuilds. For tried-and-true Mazda repair in Springfield, drive your MazdaSPEED3 to Reliable Mazda, where you can always get awesome service. Click the next link to find service specials now!